Incrediwear is by far a most interesting a tried product. This is therapy without a prescription and accelerated recovery! It uses infared therapy which has been used in Medical clinic for years to treat vascular and issues of circulation. Infrared therapy is also used by Chiropractors and Physical therapists to accelerate recovery. Many results show that most people who experience pain and incorporate Incredibraces into their regimen begin feeling better within approximately 20 minutes. Incrediwear has provided relief to those suffering with pain stemming from sprains, rheumatoid arthritis, cramps, meniscus tears, inflammation, arthritis and fatigue. 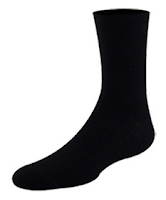 What's wonderful about Incredisocks is they are heated to body temperature and release infrared anions into the body. Good anions are therapeutic for the body, increasing molecular vibrations and circulation. Additionally, the new fiber technology uses thermo-regulating properties that keep your feet warm in the cold and cool in the heat. These features make them very appealing and relieving for Diabetics, athletes, climbers and hikers to name a few. Also good for those who are bedridden. 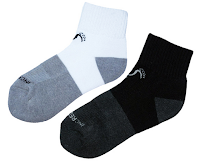 One more unique feature of the Incredisocks is the natural fibers are antimicrobial and odor absorbing allowing soldiers the ability to wear the socks for weeks or longer without needing to be washed.